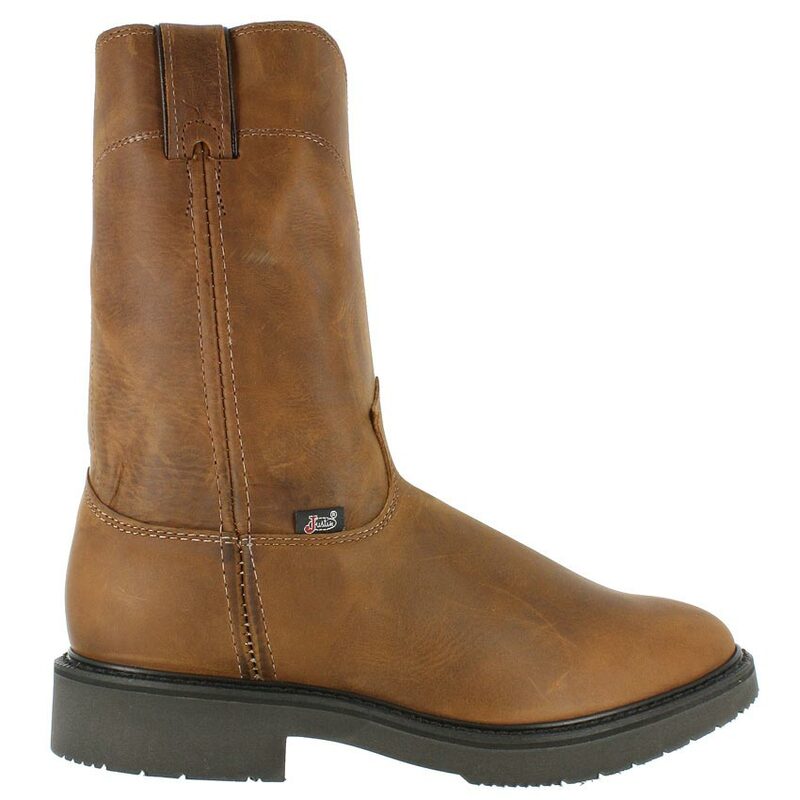 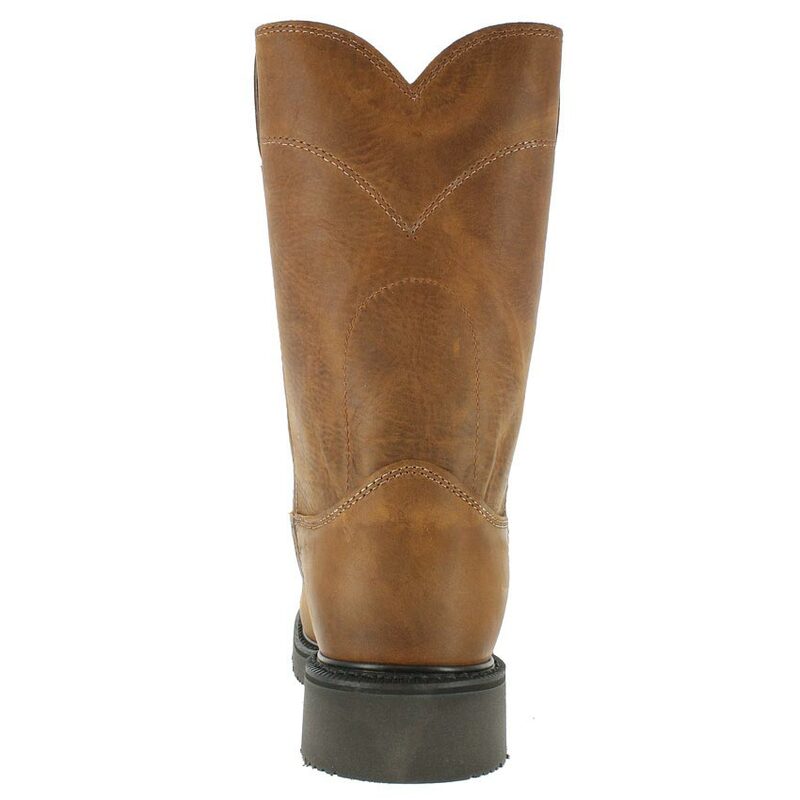 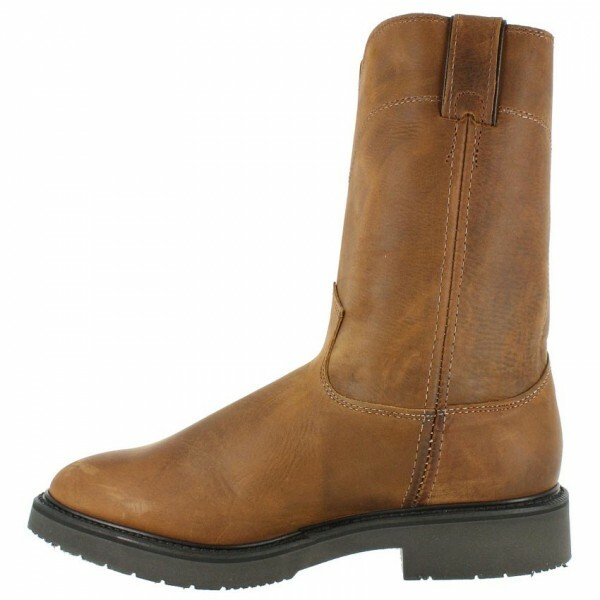 Product code: 1001072 Categories: Boots, Justin, Men's, Work Boots. 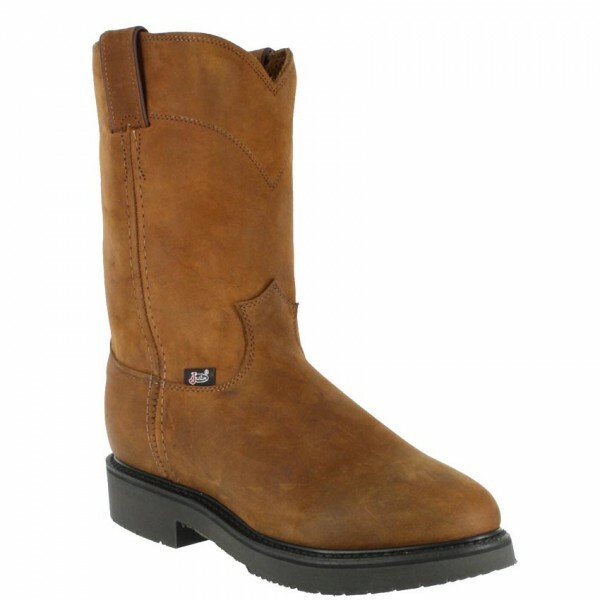 Tags: Justin, Justin Work Boots, Work Boots. 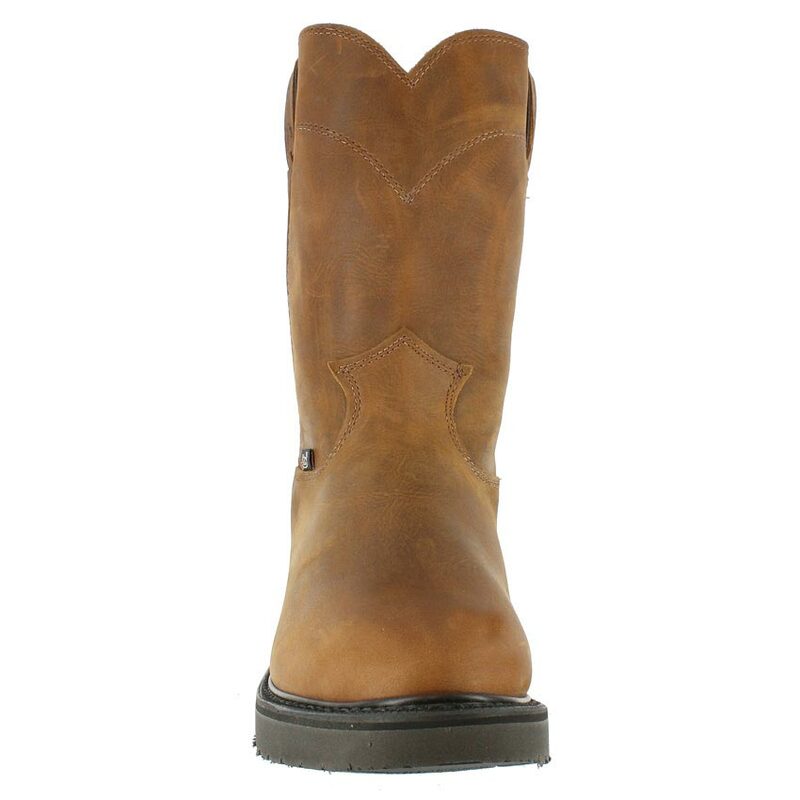 These Justin pull-on western style work boots are comfortable and good looking for the American worker. The premium oiled leather will stand up to the job, but will stay kind to your feet. 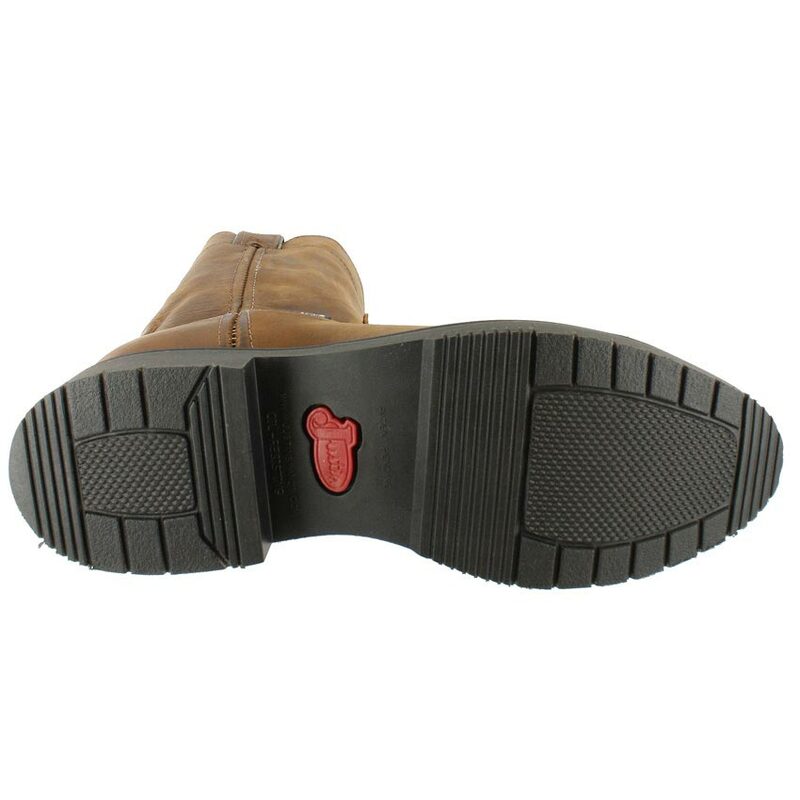 The 10″ unlined shaft is breathable to keep your legs cool and the Double Comfort System will keep your feet feeling comfortable all day long. 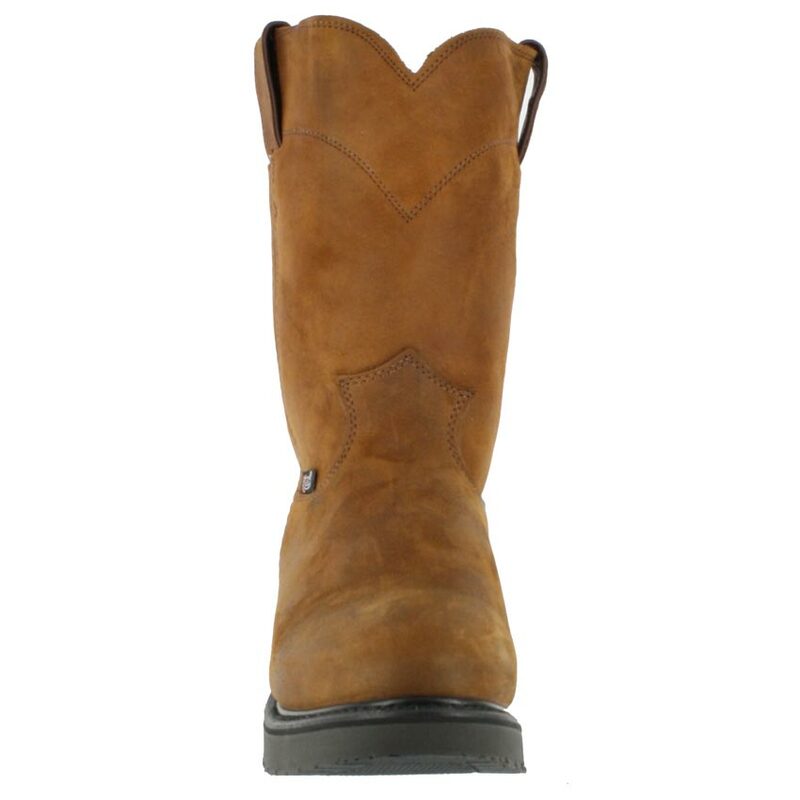 Black Jack Boots® takes great pride in presenting the finest boots, belts, and accessiories in the industry. Their boot making process begins with the selection of the best leathers and findings around the world to ensure fit, comfort, and durability. These boots feature a black alligator hornback foot, 12" black goat upper, round toe with leather insoles, black leather outsole, single stitched welt, and 1 1/2" heel. 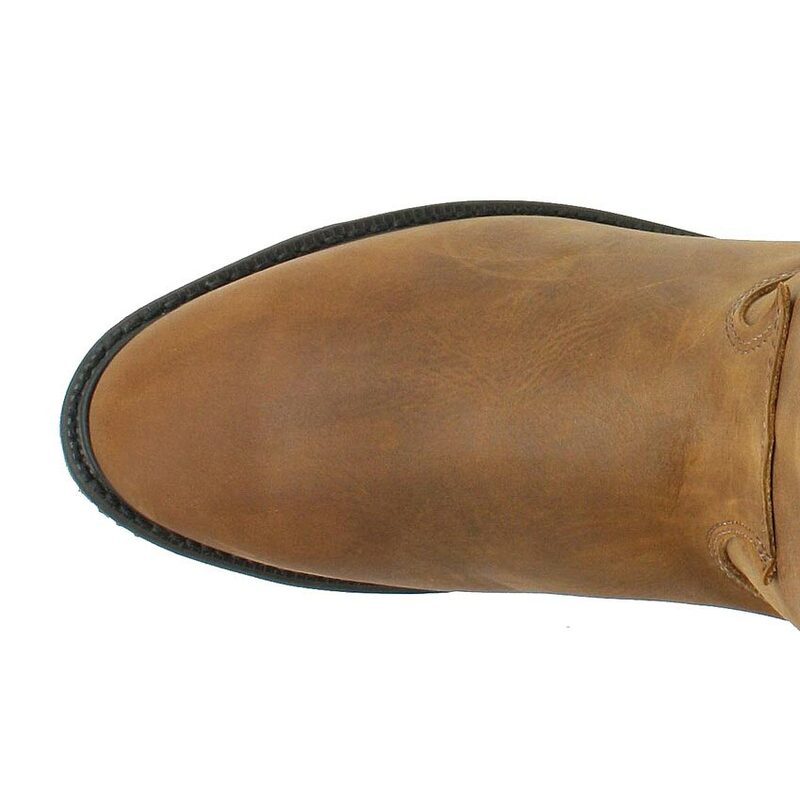 Handmade in El Paso, Texas.